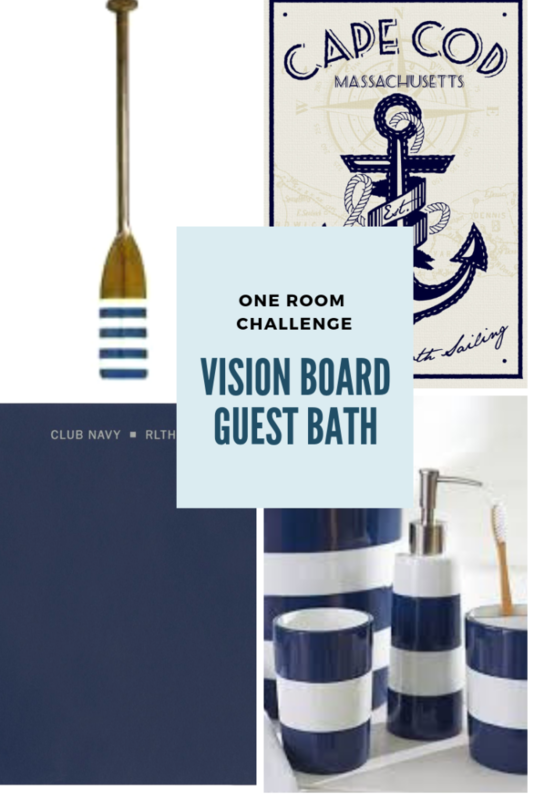 I am so excited to be a guest participant in the One Room Challenge. 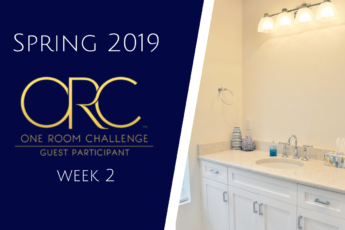 Maybe your wondering what the heck the One Room Challenge is? 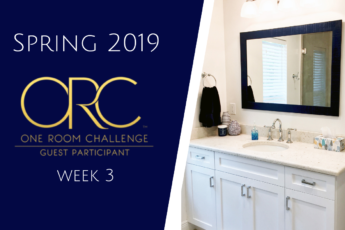 The One Room Challenge™, currently in its fifteenth season, is a widely anticipated biannual event every April and October. Over the next 6 weeks I will be transforming a room in my home and showcasing my progress every Thursday. You can see all the other participants here. 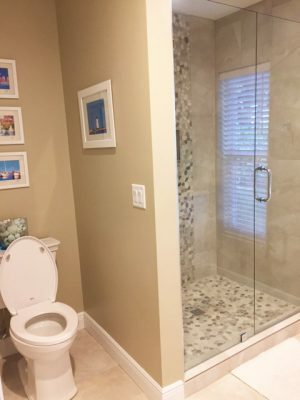 I have chosen my guest bathroom which I revealed to you back in February of 2017. 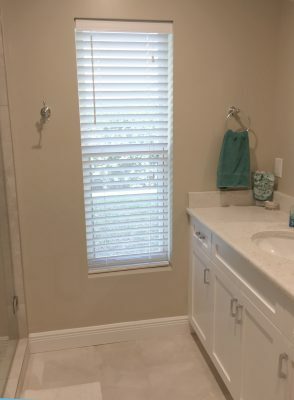 The bathroom is just fine, but I have never been happy with the color on the walls and there is just no WOW factor. It is very blah and basic. I mean, it does look a hellava lot better then when we bought the house. See the before and current state below. But, it just needs a little something more. Here is what I plan to do. I will be going for a nautical/beachy look with navy and whites and vintage beach accessories. Of course I will trying to do this as inexpensively as possible by DIY-ing as much as I can. Paint the walls white and either apply wallpaper or navy blue paint behind the toilet. Install some DIY floating shelves behind the toilet. Get new accessories, or ‘shop’ my house for things I may already have that would make a good fit in there. Possibly some new artwork or something vintage and nautical. Check out the vision board I created. 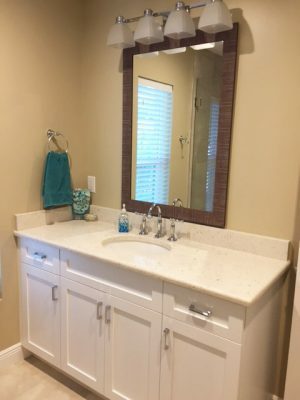 Ba-bye boring bathroom! Please follow along with me over the next 6 weeks to see my progress. If you aren’t already on my email list, please sign up to get weekly updates. Thanks! It is looking good so far, but still a long way to go though. I just checked out your site! 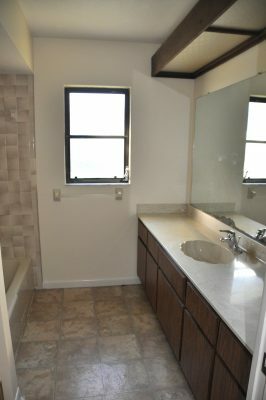 Can’t wait to see what you do with that beautiful lake house kitchen.